Losing a loved one is one of the most painful experiences in life. When your loved one’s death is caused by the wrongful actions of another person, it can be especially devastating. If your family member’s death was caused by the actions of another person or a company, you may be entitled to recover damages to compensate for your financial losses and emotional suffering. The legal team at Juan Hernandez Law, P.C. has extensive experience prosecuting and winning cases against those who lead to a person’s wrongful death. Our compassionate lawyers can lead you through the process of filing a wrongful death claim and then help you get the compensation that you deserve. While no amount of money can truly make up for the loss of your loved one, a wrongful death lawsuit can help relieve some of the weight of your financial and mental burdens. What Makes a Death a Wrongful Death? The easiest way to determine if a death qualifies as a wrongful death is to determine if the accident would have qualified for a personal injury claim had the victim just been hurt instead of killed. For example, injuries caused by car wrecks, defective products, or unsafe working conditions may qualify for personal injury damages; if these circumstances led to death instead of injury, a loved one might make a wrongful death claim. Wrongful deaths are usually the result of intentional actions, negligence, or medical malpractice. Financial Losses. A person’s wrongful death can leave their loved ones with a great financial burden. Their family will be left to pay off medical bills and funeral costs, along with any other related bills. In addition, loved ones will face future financial hardships due to the loss of the deceased’s expected earnings, pension, medical coverage, and inheritance. Loss of Consortium. Loss of consortium specifically refers to a significant other losing a sexual relationship with the deceased. However, it is often more broadly defined as the loss of any kind of close relationship, including that between the deceased and their children. Mental Anguish. A wrongful death victim’s loved ones will often suffer from great emotional distress after the victim is killed. Mental anguish damages in Texas generally fall into three categories: bystander damages, intentional infliction damages, and negligent infliction damages. Punitive Damages. Punitive damages are not compensation for your losses but are rather designed to punish whoever caused the wrongful death. These damages are usually intended to punish someone’s gross negligence, recklessness, intentional wrongdoing, or other action that led them to cause a loved one’s wrongful death. These damages are then awarded to the family of the wrongful death victim. Proving emotional distress in a wrongful death case can be very difficult because it’s hard to prove emotional suffering. That’s because it’s hard for a judge and jury to see the effects of your mental anguish. Even with a psychiatrist’s notes, you may have difficulty recovering mental anguish damages. Getting compensated for mental anguish is especially difficult in Texas because Texas law does not specifically define what mental anguish is. Often the best way to define and prove your emotional distress is to look at successful cases in the past. In the past, courts in Texas have awarded damages for anxiety, depression, despair, grief, insomnia, severe disappointment, and shame. 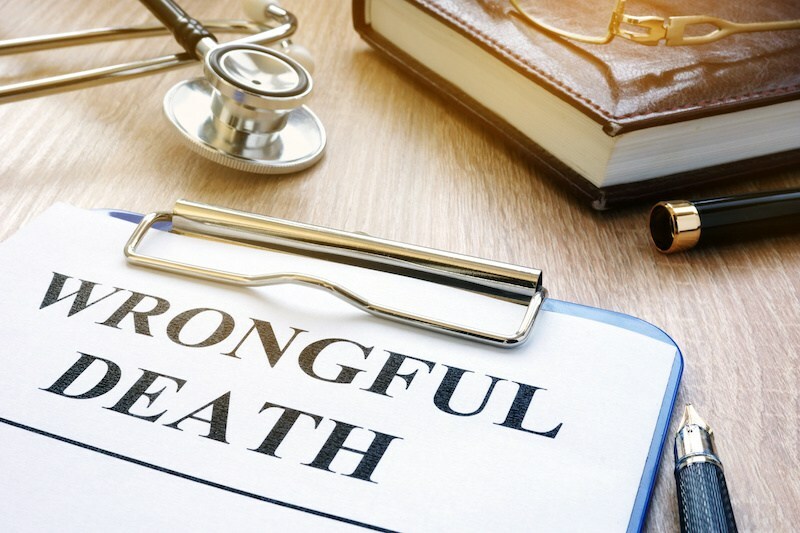 There are three different kinds of wrongful death mental anguish claims, and each requires the plaintiff to prove different conditions. The first kind of claim is a bystander claim. Bystander claims apply when a close family member witnesses the death firsthand. This kind of claim is often the most successful of all the kinds of mental anguish claims. That’s because it is the easiest to prove, and it’s believable that you would suffer from emotional distress after watching your loved one get killed. To get compensated for a bystander claim, the plaintiff must prove that they witnessed the decedent get killed, they suffered mental anguish from witnessing the event, and that they are closely related to the decedent. The second kind of claim is an intentional infliction claim. This applies when the action of the perpetrator was intended to cause emotional distress, such as in the case of road rage. To receive compensation for an intentional infliction claim, you must prove that the perpetrator’s actions were intentional or very reckless, and those actions caused you great emotional distress. The third kind of claim is a negligent infliction claim. These are hard cases to prosecute, partially because there are no laws in Texas against the negligent infliction of mental anguish. You’re likely to only receive compensation for this claim if you also have physical injuries. Even if the perpetrator is charged with a felony due to their actions, it is still possible to bring a wrongful death claim against them. Every state has its own laws regarding who may file a wrongful death lawsuit. In Texas, only the children, parents, or surviving spouse of the decedent may file a wrongful death claim. Parents of adopted children may file a wrongful death lawsuit if their adopted child dies, and adopted children may file wrongful death claims for their adoptive parents as well. In Texas, children over 18 are eligible to file a wrongful death lawsuit if their parents are killed. Texas does not allow grandparents or siblings to file wrongful death claims. It does, however, allow the executor of the estate to file such a suit. The executor can only file a wrongful death claim if the family has not done so after three months and the family has not specifically asked them not to file a claim. A positive outcome of such a suit will still result in the family receiving the awarded compensation. The actions of the mother of the unborn baby. That does not mean that legal action cannot be brought against these individuals; these cases would just be prosecuted according to different laws. Wrongful death cases are intended to compensate the family for the financial losses, loss of consortium, mental anguish, and other conditions brought about by the death of an individual. These suits help loved ones receive compensation for the financial and emotional complications that occur after the death of the individual. A survival action, on the other hand, is designed to compensate for the suffering of the decedent while they were still alive. In essence, it provides the same compensation that the decedent would have been entitled to had they survived and brought about a personal injury suit against the perpetrator. This may include pain and suffering, medical bills, and loss of income while the victim was in the hospital. The family or executor of the estate is not limited to bringing only one or the other kind of claim against the perpetrator. In many cases, the family will be entitled to the compensation brought about by both a wrongful death claim and a survival action. It can be hard to navigate the process of filing a wrongful death claim. There are many parts of the process that must be completed in specific ways. In addition, you may not be aware of all the damages that you are entitled to. At Juan Hernandez Law, we can help you file a wrongful death lawsuit, and then we’ll be there to make sure that you’re fully compensated for your damages. Our team is made up of compassionate lawyers with years of experience in the field of personal injury. Juan Hernandez is one of the 2% of lawyers in Texas who are actually board-certified in personal injury law. You can rely on him to prosecute your case expertly and get you the full compensation that you deserve. Contact us today to schedule a free consultation. We have law offices in Dallas, Amarillo, and Abilene.